Thanks everyone who stopped by The Christmas Show last week! And thanks to the Rodens who let us use their lovely house, it was perfectly cozy. It’s official, the Christmas season is here! 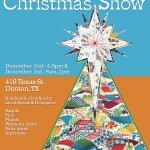 And in Denton this weekend, there are a few events that will help you to really get in the yuletide mood. 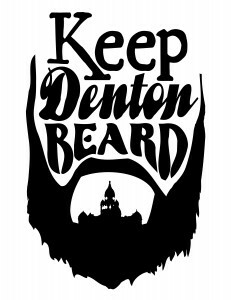 Most of you probably know about Denton’s Holiday Lighting Festival this Friday night. There will be wassail, horse drawn wagons, twinkle lights, music, children laughing, people passing, meeting smile after smile, etc. etc… I think it starts around 5:30pm. Not to be missed. BUT you may not have heard about another Christmas event this Friday and Saturday that you definitely do not want to miss: THE CHRISTMAS SHOW. The Christmas Show is a cozy little gathering of local artists and designers who will be making their handmade whimsies and whatnots available to us all to buy and enjoy. From bagels and pies, to photos, women’s clothing, baby items, furniture, and many more must-haves. This is their fourth year doing this and every year it just keeps getting better. It starts this Friday from 4pm until 9pm. And then continues on Saturday from 9am until 2pm. 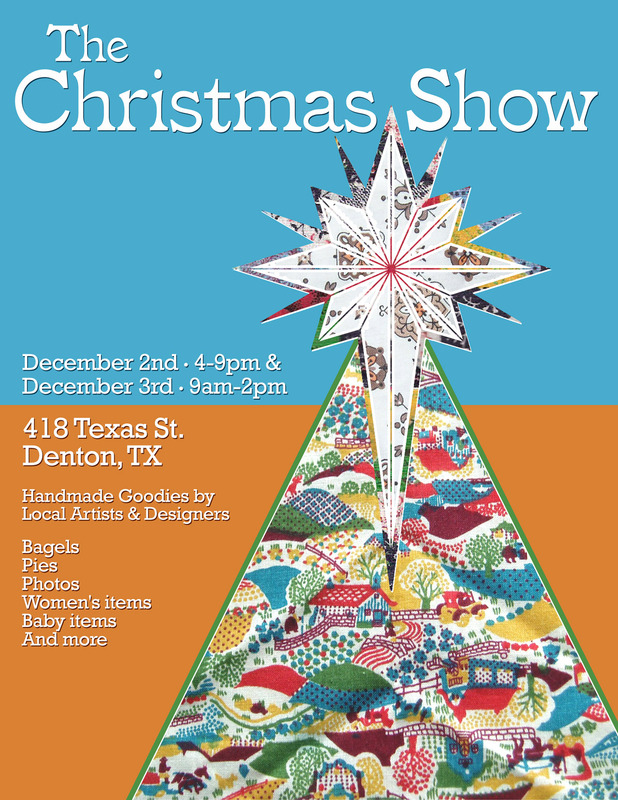 The show will be at a charming old house in Denton near downtown: 418 Texas St.
Don’t wait until Saturday! Everything is handmade and one-of-a-kind, so the earlier you get there, the more choices you’ll have! So take a quick break from the festival downtown on Friday and stop by! Also, when you stop by, bring some canned goods. They are collecting cans this year for Vision Ministries.